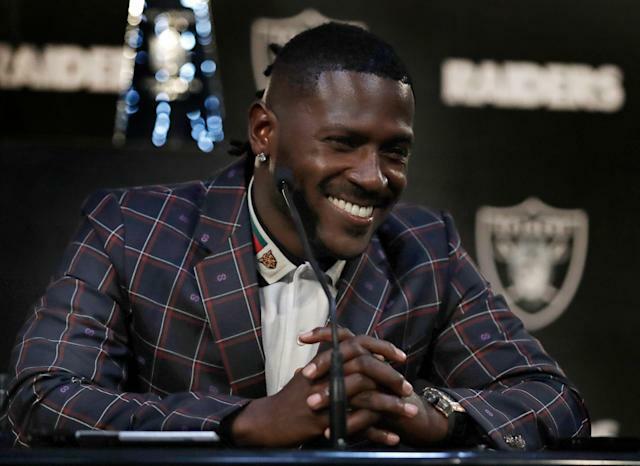 Will Antonio Brown trade set precedent in NFL? The NFL doesn’t like when players have power. It throws off their ecosystem. The NFL often operates like it believes it’s a branch of the military. It doesn’t want to hear from players. They’re there to work, constantly on edge because few of their contracts are guaranteed and they’re always a big injury away from being discarded. The relationship between the NFL and its players rarely operates as a partnership. So it’s not surprising that multiple league sources told Jeremy Fowler of ESPN.com at this week’s owners meetings that they’re worried the way Antonio Brown dictated his trade from the Pittsburgh Steelers to the Oakland Raiders will set a precedent for other star players. There are some concerning aspects to how Brown forced himself out of Pittsburgh, but this part is also disingenuous: League sources told Fowler they’re worried what Brown did is “‘dangerous’ for teams expecting players to honor contracts.” From a league that drops players with millions in non-guaranteed money left on their contracts over and over and over and over, the lack of self-awareness about crying over players not honoring deals is rich. Once the NFL honors most of its contracts, or doesn’t fight against guaranteed deals in labor negotiations, it can complain about players who don’t do the same. It’s true, the Steelers could have handled it differently. They could have told Brown to play for them or else. Maybe that was a good idea when the best offer they got was a third- and fifth-round pick from the Raiders. Once Brown threw around his leverage, reportedly sabotaging a trade to the Buffalo Bills over contract demands, the Steelers could have shut it down and put Brown in a bad spot. But they traded him. And now every team is worried about their own players exerting some control, in a league that hates when players have any real power. Would another Brown situation happen elsewhere in the NFL? The first part that led to the Brown trade truly is a bad precedent. Brown skipped meetings and practices in Week 17 after a reported dispute with quarterback Ben Roethlisberger in the middle of that week. He expected to play Sunday but was benched by coach Mike Tomlin in a must-win game. That set in motion the events that led to the trade. Nobody would argue that a player quitting on his team like that is something good. But it would serve the teams right if some players could swing the power their way. Teams repeatedly end contracts they agreed to. Nobody should feel sorry for them if they get put in some bad situations. Brown got his way on being traded to the Raiders and not the Bills, and the Steelers don’t deserve any sympathy. The Brown trade was historic in a few ways. Will it set a precedent? Probably not, because Brown’s situation was extreme and unique. But NFL teams are worried about it, because it’s not something they’re used to.